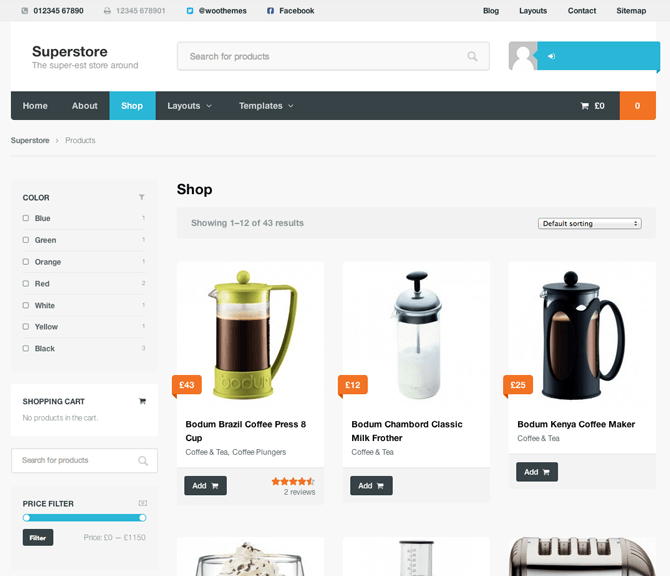 We are here to discuss best available open source eCommerce platform or CMS for eCommerce to create your own online marketplace to sell the things. 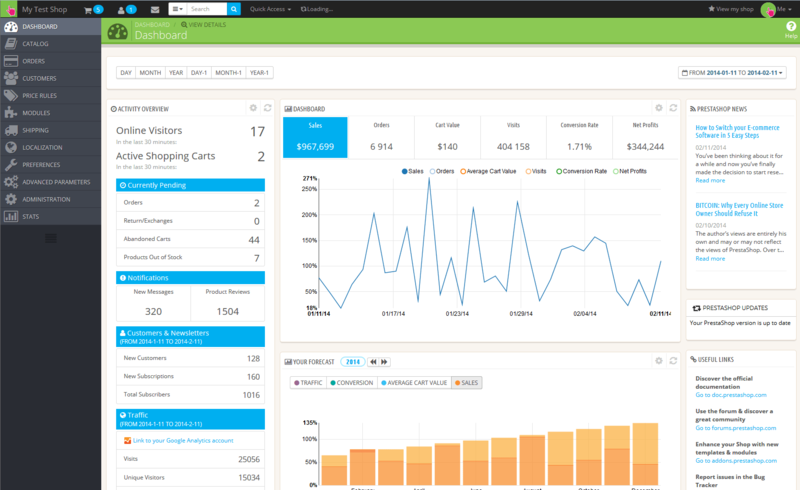 Paid Ecommerce platform is much expensive as compared to open source eCommerce platforms. Luckily, we have a vast range of open source eCommerce platforms which are not so costly (most of them are free) but also support customization and scalability. Yes, definitely moving your eCommerce business to the open source platform, where you are going to manage online transactions of your business is not an easy task. So, moving towards an open source is a little bit a hectic process because every platform has its own weaknesses and strength but if know about right open-source platforms to build your website then it might be not. I would like to answer some questions related to Opensource which might come in your mind before opting open source platform. 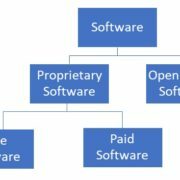 Opensource is that software which can be modified by anyone according to its requirement because its source code is open and can be modified by anyone. How much open source cost or it is totally free? As I told you above open source is free and can be modified by anyone but it does not mean that you don’t have to spend a single penny. If you are a developer then you can implement and code these solutions by yourself but if your are newbies then you have to run estimates to see whether the cost of hired developer is cheaper then the premium e-commerce solution or not. 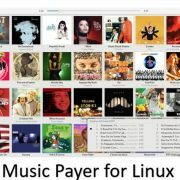 Which Opensource platform is right for me? To answer this question is also very difficult to me because it totally depends on your requirement and capital which you’re going to invest in your online business. I can only identify them for you. Magento is a very big name in e-commerce platforms. There are two editions of Magento, one is the premium edition for enterprise and other is for the community. There are many big brands, those are using their enterprise edition to run their business but don’t worry they also offer community edition which is free for those who want to start their website but at no cost. 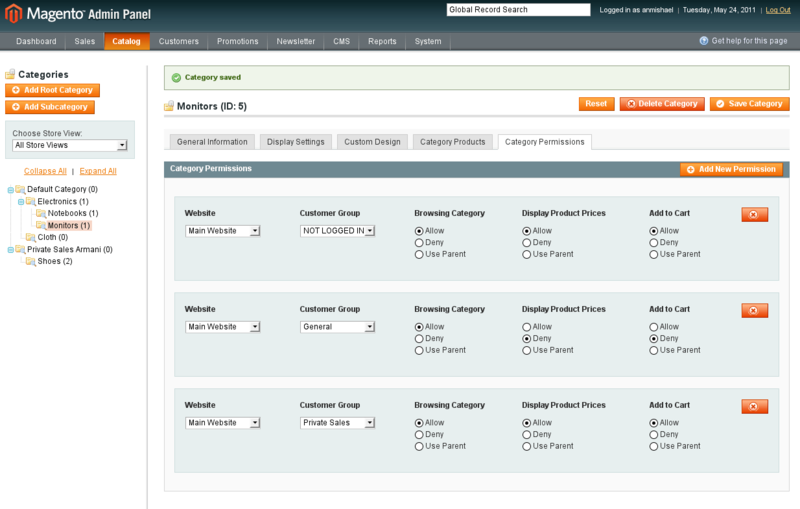 The ultimate benefit of Magento community edition is it comes with tons of features. This platform is extremely flexible and has lots of plugins and extensions to customize it according to your choice. Yes, the community edition is free but still lots of its plugins and extensions are paid, so finally at the end of the day, you have to spend something on this software. This platform is written in PHP and easy to install and customize. It uses the Smarty template engine and everything on this platform are very intuitive. 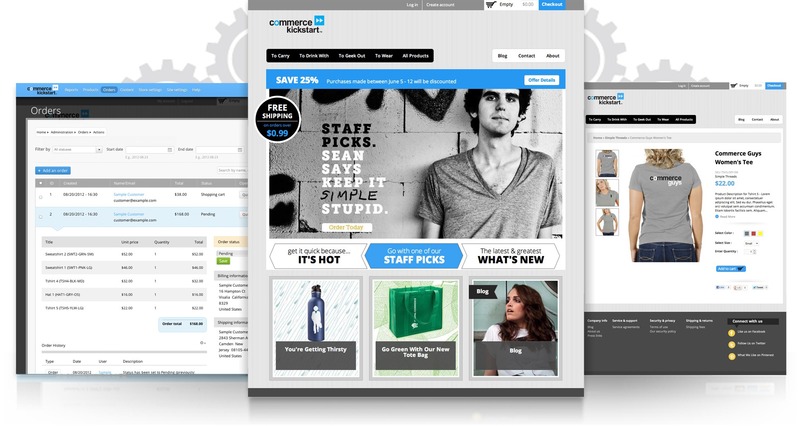 Prestashop offers fully hosted and self-hosted version and the best thing is both are free. Near about 250,000 stores using this eCommerce platform. If you really want to customize PrestaShop according to your need then you have to purchase additional themes and templates which require some investment. 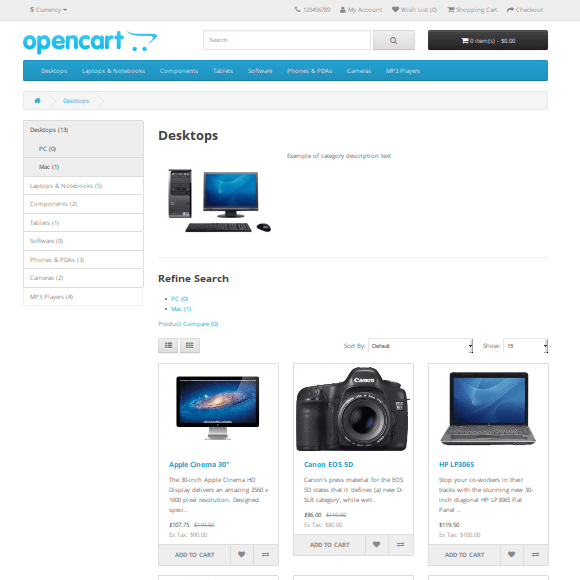 If you have a small business and now you want it to online then Opencart is good for you. It is very simple not much complicated but you are not going to find high-end functionality like other shopping carts software offered. Yes, you are not getting much from it in terms of functionality and graphics but still it is best for small business to start without much complexity. But I am not saying you cannot do anything with it, just hire some developer and with the help of some plugins, you can add more functionality and flexibility to your website. osCommerce is 15 years old company and provide a very secure platform to sell things. You can self-host this platform with complete control on website store and data. It claims that about 280,000 store owners, developers, and service providers are using their shopping cart platform to run their business. They provide 7000 free Add-ons which gives a wide range of customization power and functionality to your website. 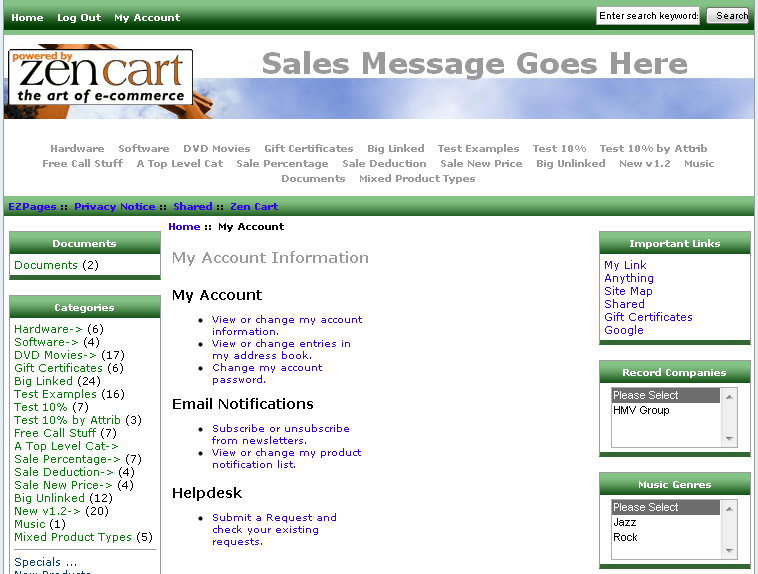 Zen cart is written in PHP and features 1800 add-ons in 16 categories. If your are looking for good product management system then Zen Cart could be the one. You can have everything at your fingertips from creating an inventory to sales. 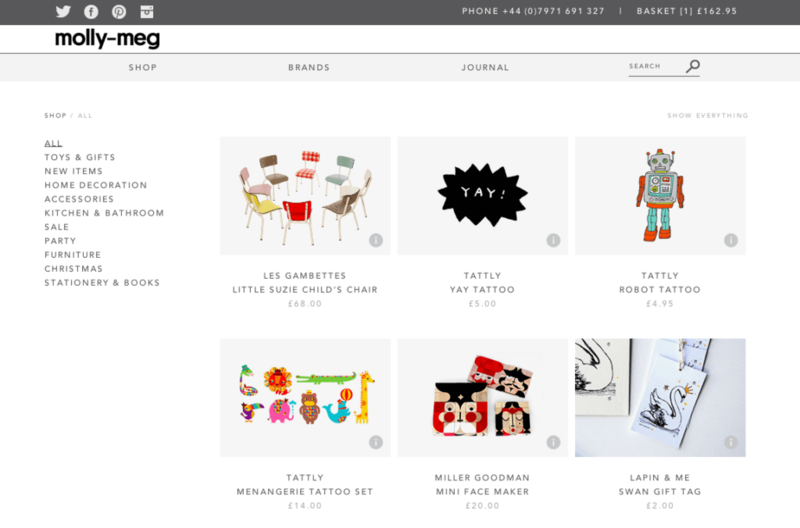 Zen Cart is not for those who are looking for great graphics and beautiful online store. So, if you want your website to look prettier then you have to look for good templates and especially a developer to make it interesting. 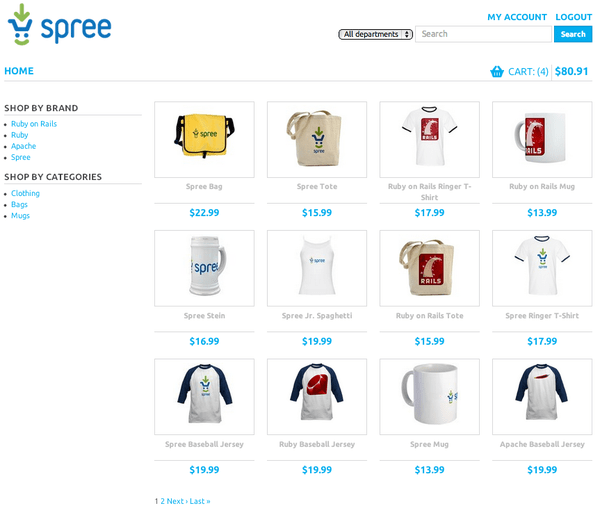 Spree Commerce is very initiative and modular shopping cart platform which is based on Ruby on Rails. You do not need to be geeky to configure and upgrade its functionality. Around more than 45000 stores are using spree commerce platform to sell their goods including 3D Robotics and Nutrisystem and Chipotle like retailers. Most of its plugins and extensions are developed by Spree itself which means they are upgraded on time and enhance your security and functionality time to time. If you talking about eCommerce CMS platforms how can we forget WordPress which is one of the leading open source CMS platforms and Woocommerce shopping cart plugin powered it to become a full-fledged e-commerce platform. 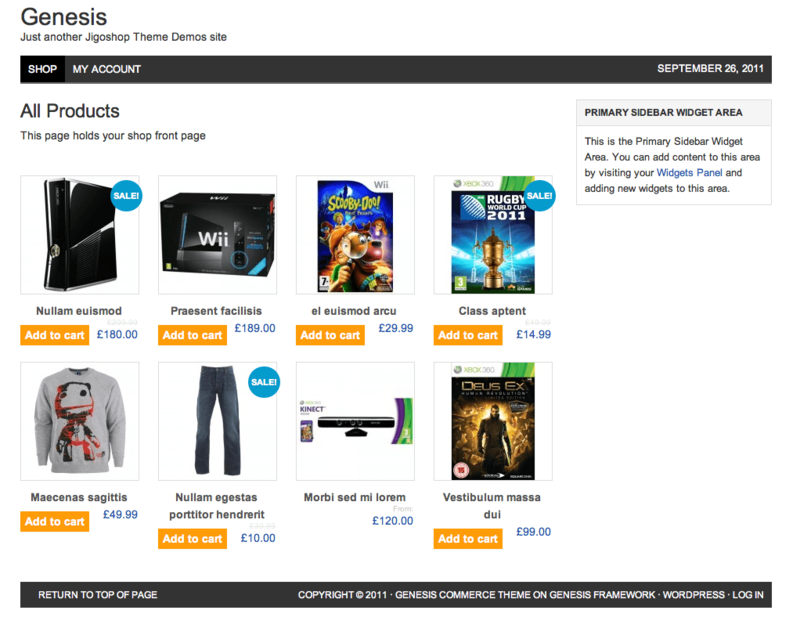 Wocommerce was developed by Woo Thems and can be integrated seamlessly with WordPress in a minute. There are lots of plugin and themes available from WooThemes and also from other sites like ThemeForest and CodeCanyon to make it extremely customized and flexible. It is mobile friendly which means your brand also looks good on tablets and phones as you know nowadays most of the users are using their smartphone and tablets for shopping. The big advantage of Woocommerce is it provides an add-on which enables you to create your own mobile app for the storefront. Like Wo-commerce, Jigoshop is also an shopping cart application which converts your WordPress into an e-commerce platform. It is free and supported by WordPress .org. It has more than 20 themes and 100 extensions. It is new but you can give a look to it. 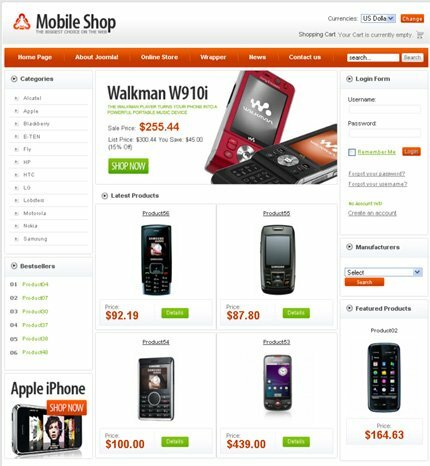 It is also a very popular shopping cart application for WordPress and can be compared with Wocommerce at some point. It has 3 million downloads at wordpress.org. 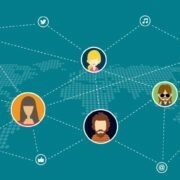 It has a nice list of features and also has an integration with social networks for marketing. Joomla doesn’t need any introduction and so VirtueMart. If you are familiar with Joomla then setting up and running your storefront is very simple and easy. 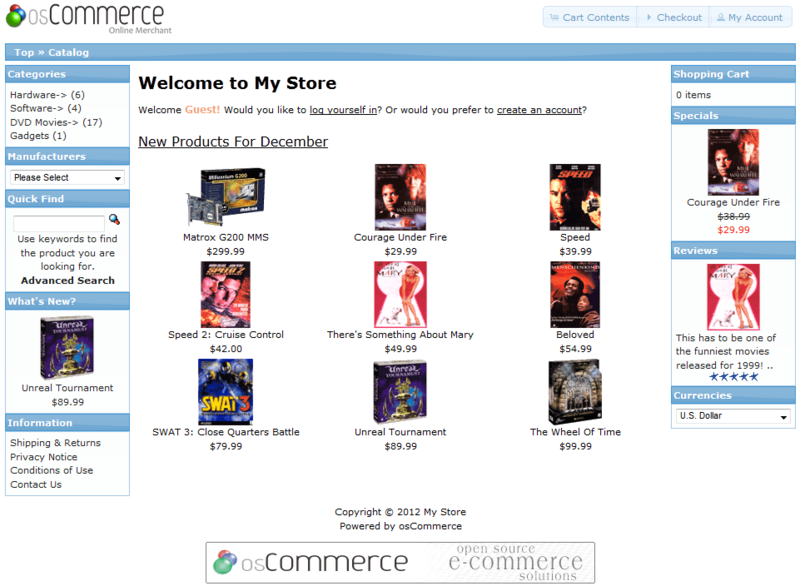 VirtueMart is an shopping cart extension for Joomla to transform it in an eCommerce platform. 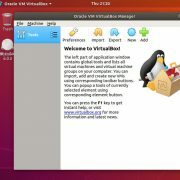 You can extend the capabilities of VirtueMart by adding different plugins, components, Templates, and Modules. It is SEO friendly which means it improve your index rate in search engines. If you want to give any suggestion for these platforms, please tell us or write a comment. We will try to add them in our article.